The holiday season is approaching fast, and many people are currently looking to purchase presents for their loved ones. Tech items like computers are likely to be among the most popular gifts. But there are so many different computers out there, meaning that finding the perfect one can be difficult. We’ve outlined some tips that will help you understand more about computer parts and how to make the right choice. If you want a computer that loads programs in a flash, completes tasks almost instantly, and runs smoothly at all times, then we recommend you invest in the strongest processors available. The performance of a processor is determined by its number of cores and speed, so the bigger the number, the better. Processors with two to four cores will often suffice for most users. However, if your tasks involve rendering high-definition images, animations, graphics, and analysis, then for optimum results it makes sense to get a processor with more than four cores. Random Access Memory (RAM) allows your computer to perform multiple tasks at once without a hitch. Just like processors, the amount of RAM your computer has will determine how fast it will run when you work on several programs simultaneously. Nowadays, standard computers come with 1-2GB of RAM. However, we advise you to get at least 4GB, or even 8GB, of RAM so that you can navigate smoothly between tasks such as email browsing, Internet surfing, and working on word processing documents and spreadsheets. The bigger the hard drive, the more space you have to store files. If you plan on using your computer with no peripherals, you’ll want to choose a computer that offers the biggest hard drive. But remember that you can always purchase an external hard drive to transfer or store files if your current hard drive is running out of space. Another thing to consider in a hard drive is its spin speed. Modern computers usually have 5400rpm or 7200rpm drives, the latter being more efficient. The faster your hard drive disk is spinning, the quicker data can be transferred to and from it. Most people will just go for either Windows or Mac OS, because the complexity of Linux and Ubuntu mean they are are not popular among everyday users. Want more hardware tips and tricks? Get in touch with our technology experts today. 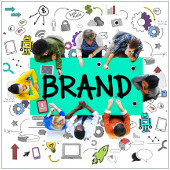 You may think social media is designed for exciting brands like Google or MTV. And who could blame you, as these brands both have millions of followers. Because of this, you may think there’s no place for your boring brand on social media, right? Think again. Here is one brand that’s making some noise in the social media stratosphere, and some tips you can take away from their efforts. You’ve probably heard of 3M but may not know exactly what they do. However, there’s a good chance you may have some of their products in your house. If you have Ace bandages, Scotchgard, or Post-it notes lying around your bathroom or home office, then you are guilty of being an owner of 3M products. So when it comes to social media, why does this company matter? Simple. They have 121,000 followers on Twitter, which may sound pretty remarkable when the name of this brand isn’t Apple, BMW or Taylor Swift. So how does a company like 3M succeed? Here are a few things they do well, and you can do too. If you’re the sole person shooting out tweets, updating the status of your business’s Facebook page or writing articles to post on Linkedin – all while you’re trying to run your business – it’s no wonder your social media presence is failing. You know as well as anyone, that you don’t have the time for it. And for this reason, it’s impossible to put your full effort into growing a social media presence. So why not hire at least one expert (or maybe a few) to manage it for you? You’ll likely see a noticeable uptick in your followers. And even better, you’ll no longer be distracted with social media, and can focus on growing your business. What’s not to love about that? As for 3M…you may wonder, how many people do they employ to manage their social media presence? The answer is about ten, which is a very tiny percentage of the 90,000 employees who work there. Obviously, with 120,000 followers, their efforts are paying off. Many social media platforms are all about engagement. If you’re aiming for more followers, you need to engage your customers and prospects. And a perfect way to do so is to ask questions. Not only does this create a connection between your brand and your customer, but it also attracts new followers. 3M posed the question, “what does science mean to you?” to their Twitter following with some incredible results. The tweet generated more than 500 favorites and 200 retweets. This is an example of the power of a question. So when it comes to social media, remember to ask questions, respond and engage. This is what many of the platforms are designed for. What it comes down to is that your business already provides value and improves your customers’ lives in one way or another. If it didn’t, no one would buy from you and you wouldn’t have a business to begin with. So leverage that value and educate your customers on social media. You are the expert, and there are people out there who are interested in what you have to say. For assistance with your social media presence or any of your IT needs, get in touch with our experts today. 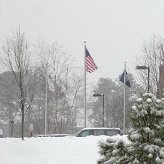 When your employees see snow on the ground, the thought of a day off immediately pops into their heads. Of course your customers are still reliant on you to provide the goods and services they have come to expect from your business. Before a storm hits, you should be communicating with both staff and clients to inform them of the situation. This will ensure your business doesn’t miss a step should inclement weather head your way this winter. While weather varies drastically depending on where you live, nowhere is immune from inclement conditions during the winter. It’s only a matter of time before your local weatherperson appears on TV warning you to brace for yet another “Storm of the Century”, and in turn everyone whips themselves into a frenzy preparing for the worst-case scenario. However, you shouldn’t just be focusing on your personal affairs; you need to make sure your business is ready as well. Even if the forecast doesn’t turn out to be accurate, it’s always better to be safe than sorry. For this to happen, you will need to stay in constant contact with both your employees and customers before and during a storm to make sure they know what to expect. Doing this will help limit interruptions and make sure clients can adjust the expectations they have of your business. Here is how you can use communication technology to prepare for any possible service interruptions caused by bad weather. The great thing about technological advancements over the past few years is that they allow for many employees to work from home, or from anywhere that has an internet connection. However, they must be prepared to do so. That means you should be letting employees know that there is a chance they might be working from home three or four days before a storm is due to hit. During this time, have your IT department or provider check with those employees to ensure they have the capabilities to work from home, even if it is in a limited capacity. During this time, designate certain employees as flex workers if you can’t determine just how bad the weather will be the next day. This means that they will check the weather in the morning and come in if it is safe. They will also be in charge of informing other employees whether or not they will need to come into work. Finally, make sure there is an updated spreadsheet or file with all your employees’ contact details, and that this is available to those who may need it. It is important that each person at your company is able to be reached via multiple channels, because you never know which services a storm may knock out. Having this ready before anything happens will allow for more efficient communication during inclement weather. Your customers depend on you, and it is absolutely vital that you keep them informed of how the weather situation will affect your business. One of the easiest ways to do this is via social media. In the days leading up to the storm, let your followers know that you are keeping an eye on the situation, and provide contact information for someone at your company who can give them additional information if needed. If your business will have to close because of bad weather, it’s good practice to announce it as far ahead of time as possible. Ideally this will be done on the night before or, at the latest, early in the morning of the closure. You don’t want customers trekking in three feet of snow to get to your shop or office, only to find out it’s closed. Make sure you get in touch with clients right away to inform them of any delays that might occur in delivering goods or services because of the office shut-down, and give them an estimate as to when your business will be fully operational again. Just because you aren’t responsible for the weather doesn’t mean you can stop being accountable altogether. Staying ahead of the game will prove to clients that your company is organized and prepared for anything. Of course, communication is just one part of a comprehensive business continuity plan. Contact our experts today and find out how we can keep your company functional no matter the weather.